Melanie is a full-time freelance content and copywriter, blogger, and ghostwriter for hire. This mistake is the commonest. Why? Most people who've learnt a lot tend to think that's enough! Guess what? Affiliate marketers make this mistake too. If you know what you're doing, great. If your business is doing well, great. But there's a huge problem: You don't know nearly enough as you think you do (in most cases anyway). What's worse, the competition is fierce. And only the toughest survive. You should read more books, listen to informative podcasts, attend seminars. You shouldn't be the old dog that can't be thought new tricks. You don't have the time to do that? You'll have to create the time, if success mean something to you. You'll definitely make more money by doing so. Some failed businesses were once successful businesses. No business can thrive on old and outdated business model, and strategies. We (almost all of us) are used to the idea of working for money: Go to school, get a good job--Work for money. It's not bad idea for would-be businessperson, right? Unfortunately (again! ), it is. 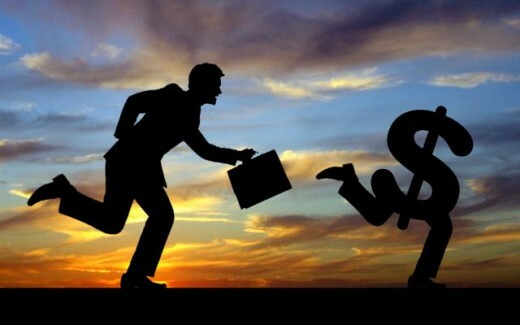 If you work for money, you're most definitely chasing it, especially in low-income jobs. As an affiliate marketer (or any other businessperson), you're creating a corporate entity that makes money work for you. It's not the other way round. And most affiliate marketers are taking the wrong approach too. That's because of wrong orientation. You think wrongly, you act wrongly. It isn't complicated, right? But sadly, that's why 97 percent of affiliate marketers fail. Affiliate marketers (or would-be affiliate marketers) should always treat it as a business. Don't chase the money: Attract it. What does that mean, exactly? It's simple. Think about providing value. While you're at it, try to make it exceptional. Watch what happens next: Money! I get it. It's hard. You just want to make some money. After all, you're in business to make money, that's it. Remember, the wrong orientation. It's much harder if you act that way. The truth is, if you provide very useful services or information, you'll gain traction. That's a huge following, which is great. Do this through blog(s). What about SEO? Social networks? You should include online radios. Don't stop there. And in no time, the money will be gushing out of it naturally. Yes, it's as simple as it sounds. The missing piece? Patience. And a little bit of hard work, to be honest. 3. Not Having a Proper Monetization Plan in Place. To fail to plan is to plan to fail. When it comes to making money, it's super important you get your house in order first. That doesn't mean you're chasing the money. It's planning. You'll need them to succeed. And it's a business. You should get it right. Don't monetize it first. Bad idea. Your focus should be on quality content and traffic generation first. 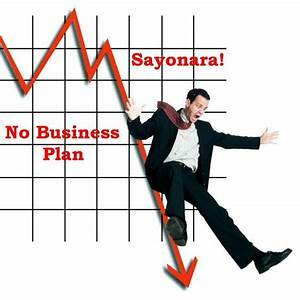 Most affiliate marketers don't know how to write proper business plan. It's the truth. It could make your life a lot harder, if you don't have a good business plan. So go get a good one. Don't have the technical expertise? Get help. It's a business, remember. You can't afford to screw it up. That's if you are determined to get it right on your first try. Don't be surprised that I included this. Why do you think "get rich quick schemes" gain traction very fast? Everyone wants to money as fast as possible. Unfortunately, most of those schemes are scams. Can affiliate marketing get you rich in a month? Impossible! You know that, right? But sometimes your subconscious will be screaming, "I want money now." Ignore it. Just focus on providing value. It'll help. Don't think too much about the money, initially. If you do, you'll be impatient, which is a mistake. 6. Not Using the Fear of Failure to their Advantage. You're afraid. Who isn’t? Some people let the fear of failure stop them from succeeding. That's obviously a huge mistake too. If you can keep on going even if you are afraid, that's good. Kudos. What's better? You should use it to your advantage. The fear of failure can make you learn from people who failed, and avoid making those mistakes. It can make you put in the extra effort too. 7. Not Collecting Email Addresses from Day One. Email marketing remains a powerful tool no one can ignore. You shouldn't set it up and leave email marketing out. 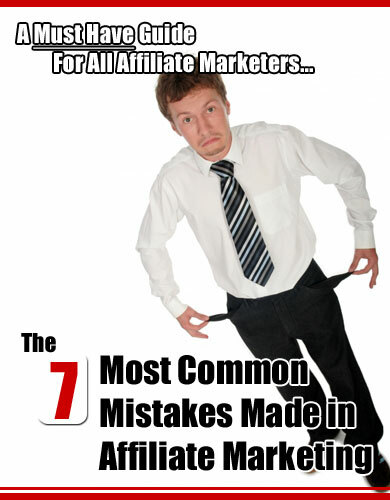 This is a common mistake that many new affiliate marketers make. Is this article informative and useful? Thank you Ryan Mather. It would be an honor to be a guest blogger. However, I'm a full-time freelancer and ghostwriter, meaning I'm very busy right now. Maybe later? Thanks a lot for the offer. Hi, Awesome Article! Very well written and very true. I am a newbie..two months on Friday since I placed my first Facebook ad. Since the beginning, I didn't focus on the money..just building my influence online. I have a email list of 350 subscribers...a funny thing happened last week..I started emailing them Market Research Studies on Digital Marketing and ...my open rates tripled! Value, Value, Value HaHa I just started a blog to help new people...learn, earn teach :o) it's at digitalintelligence4life.com Thanks for the great article and would you be interested in being a guest blogger? I would love to ask you some questions.